I am converting all pages to posts. This is a page which has my review of The Four Seasons Restaurant in New York in October 2013. Enjoy! The hall of America’s power dining, where deals are signed, negotiations commenced, long-term corporate relationships formed over the breaking of bread, the sipping of soups, and the swirling of wine. Views on stock prices, commodities and geopolitical events discussed over succulent pieces of fish, beautiful steaks and gourmet burgers. Welcome to the Four Seasons Restaurant. Founded in 1959, the restaurant is regular for many corporate guests and favoured by the New York power lunch dining set. Marilyn Monroe sung “Happy birthday Mr President” to John F Kennedy for his 45th birthday dinner at the restaurant and its fame has continued to rise ever since. I met one of the owners when I dined here several years ago, and he is there again today. He is there again today, greets me and escorts me to my table. The service is formal and attentive. I am fawned over like a European model in nightclub full of boys. My glass is rarely empty, the ordering process is efficient and not a request goes denied. 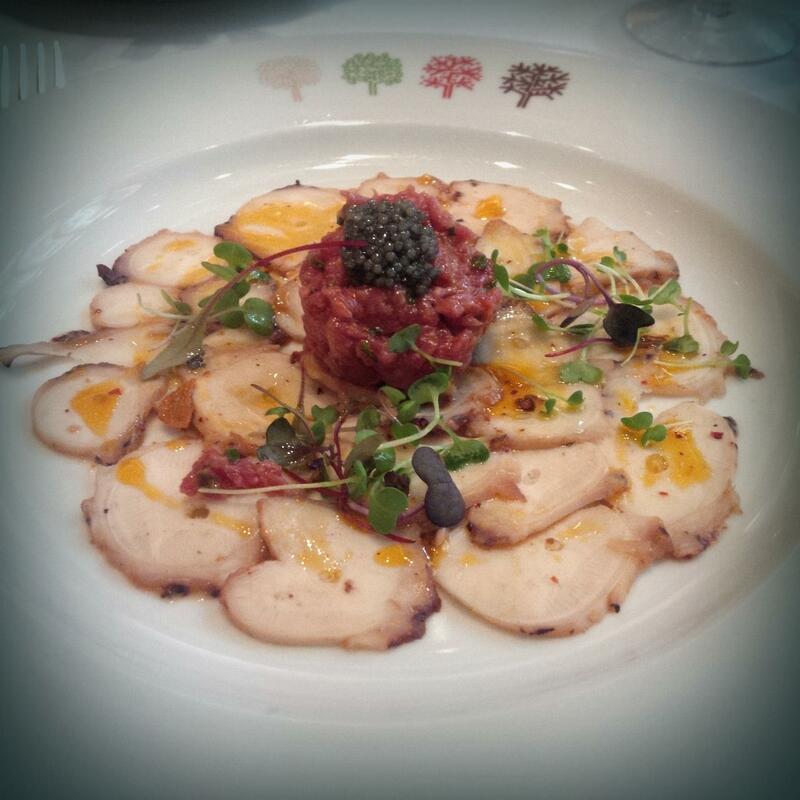 I opt for the Octopus Carpaccio which is topped with beef tartare and caviar. I am sceptical on whether they can pull it off; when it arrives, I am amazed that they actually nail the dish. The strong flavour of the octopus, the creamy tartare and the sea salt flavours of the caviar make for quite the tasting experience. Choosing a matching wine for this was a nightmare, but a light Italian Chianti does the trick. 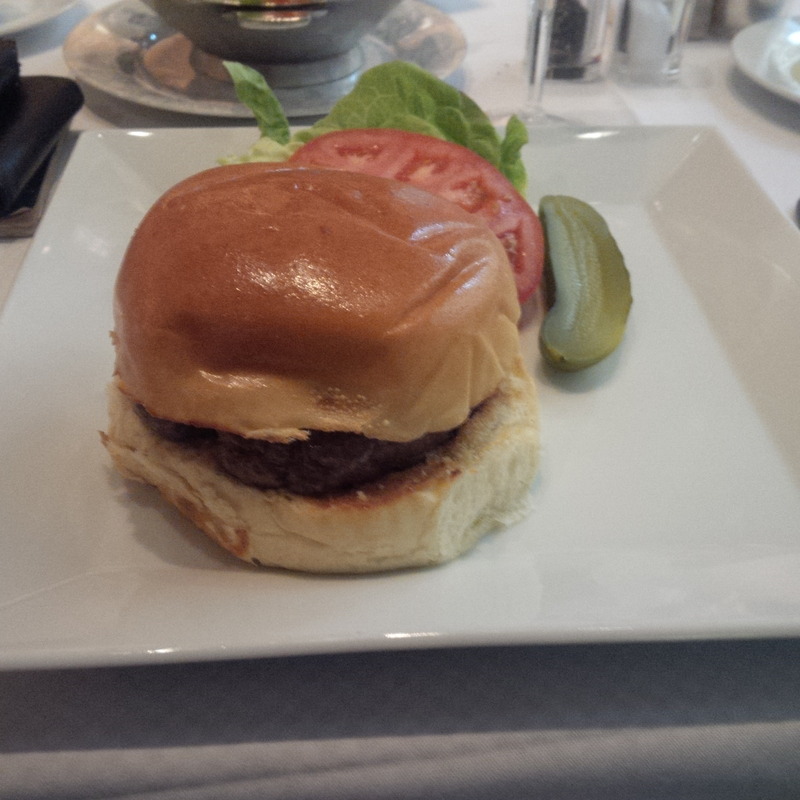 I move on to my main which is the grass fed beef burger. It arrives, and is a deconstructed burger with condiments on the side to adjust the taste. The burger is divine, the beef is so succulent. I savour every bite, letting the juices of the beef trickle through every taste bud, chewing over every morsel before finally consuming it. To do this while maintaining your composure in a room full of America’s corporate elite is a struggle, although I don’t seem to attract too much attention (I hope). 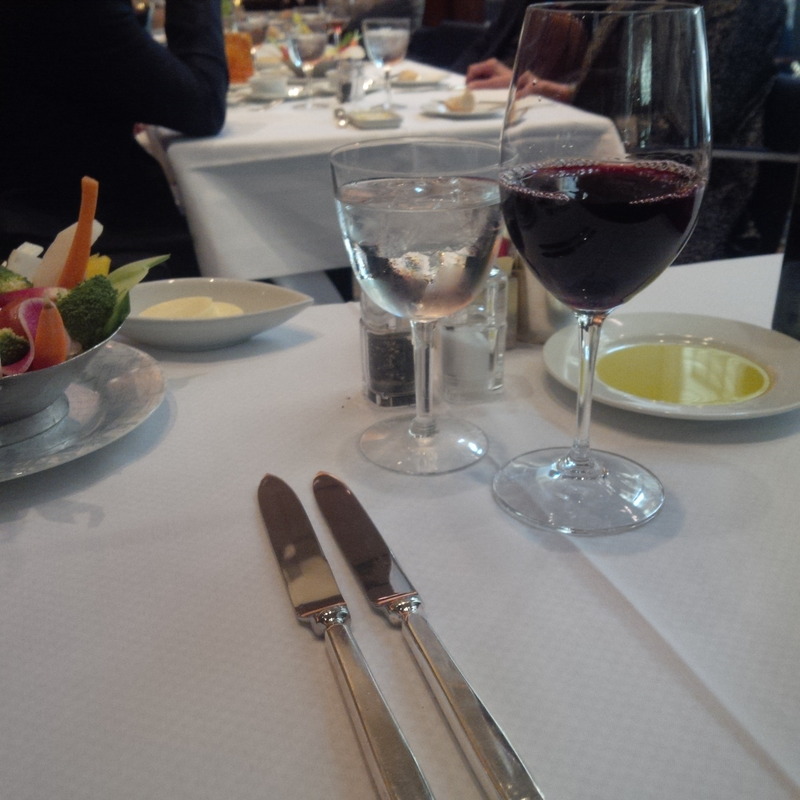 I finish and when receiving my bill note that they forgot to include an extra glass of wine I had. The waiter is pleased to inform me that it was complimentary. I smile and thank them for their service. I love this place!